With the much anticipated return of the show "Mad Men" quickly approaching, how can I not share his recently released book. big, easy STYLE. Although Bryan isn't on the show any longer (he was a great character) I'm very excited for the fifth season of Mad Men, which is slated to begin on Sudnay 3.25. I think a small cocktail party is in order! How I wish I owned a retro fitted bar like the one pictured below. This book is great, it's filled with a diverse group of beautifully layered rooms, just the way I like em'!! 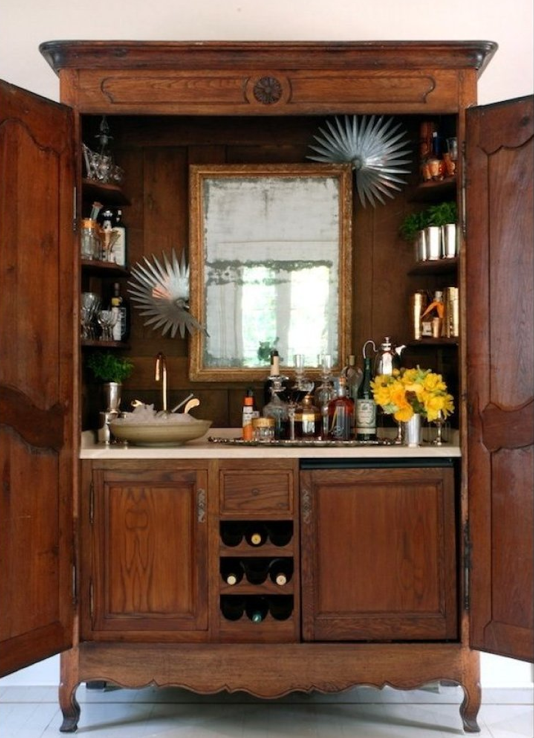 I LOVE the idea of retrofitting a vintage piece of furniture into a bar with a sink and all! Julie - I also love this bar cabinet! 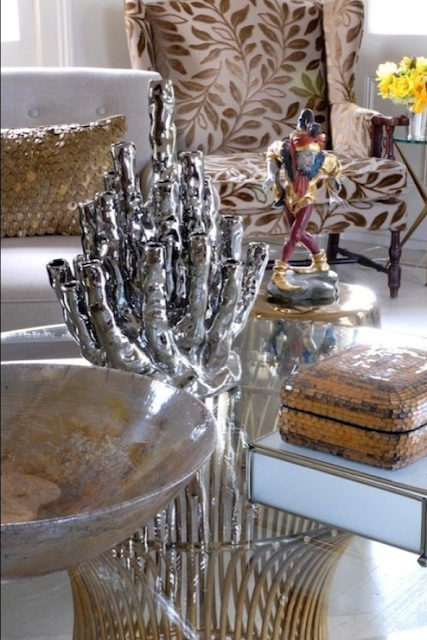 This could be quite a bargain to purchase as large pieces of furniture are not overly popular -a chore to move and many homes may not have the space to accommodate their size. I say tear out an existing cabinet and make room for a unique piece!